This is a small genus that is associated with Prunus as primary hosts and Humulus and Cannabis as secondary hosts. The only species in North America is introduced, and is the common aphid pest of hops. 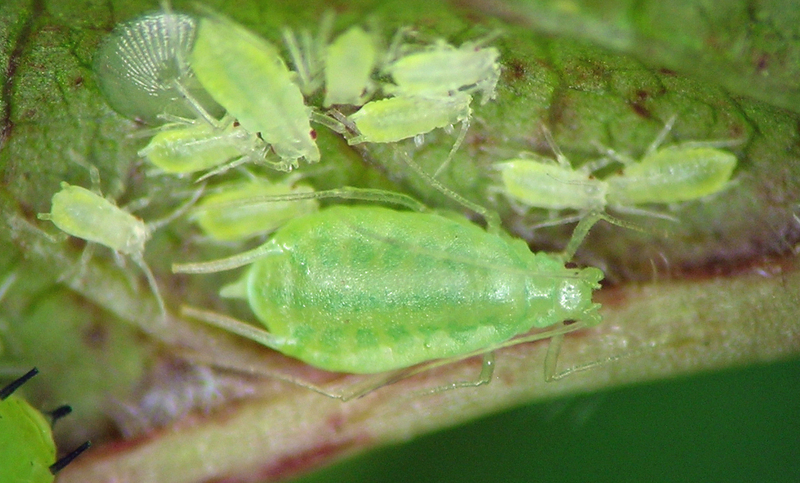 This aphid is one of more serious pests of hops in North America, and is very widespread. I commonly see it in the spring on ornamental plums in landscapes of business districts of cities and towns. Phorodon humuli on an introduced plum along a stream in SW Idaho. The ribbed object in the upper left is an insect egg. Anyone know what insect it is? I don’t.